On a Thursday afternoon at the Rose Art Museum in Waltham, I’m watching Tuesday Smillie watch her artwork go up. All around her in the museum’s airy entrance hall hang banners that she stitched by hand. Some bear slogans of protest, while others read like poetry, or diary entries. 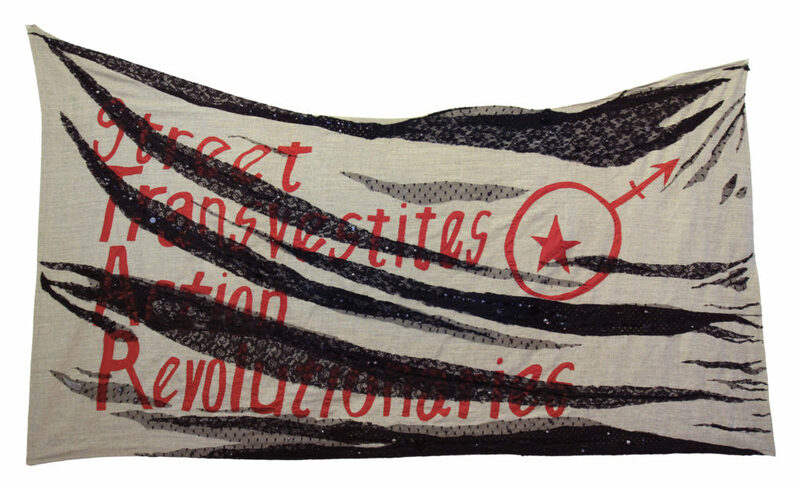 The banner is a replica of one that was carried in the 1973 New York City Christopher Street Liberation Day march — a precursor to today’s Pride parades — by an organization called Street Transvestites Action Revolutionaries, or STAR. Smillie’s artwork is based on a photograph of that march: In it, two activists stand on either side of a banner, fists raised in a revolutionary salute. 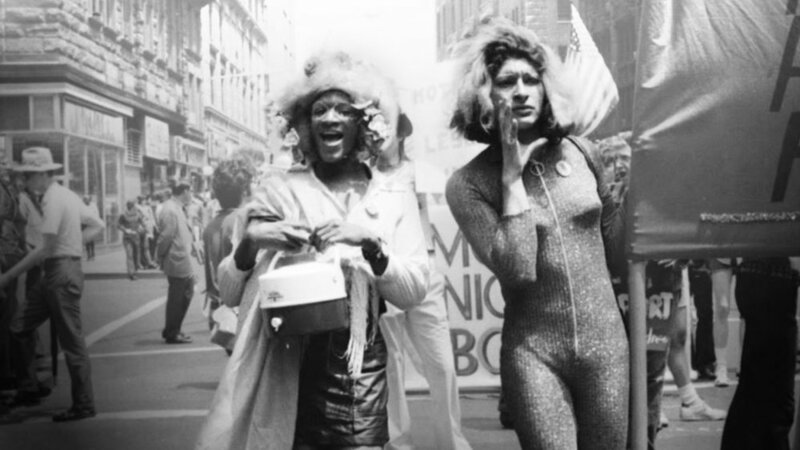 The photograph was taken years before the term “transgender” entered common parlance, but the activists in STAR — which was founded by Marsha P. Johnson and Sylvia Rivera — are considered forebears of the modern trans justice movement. STAR worked primarily with homeless LGBTQ youth, and its members were largely excluded from the ascendant gay rights movement. 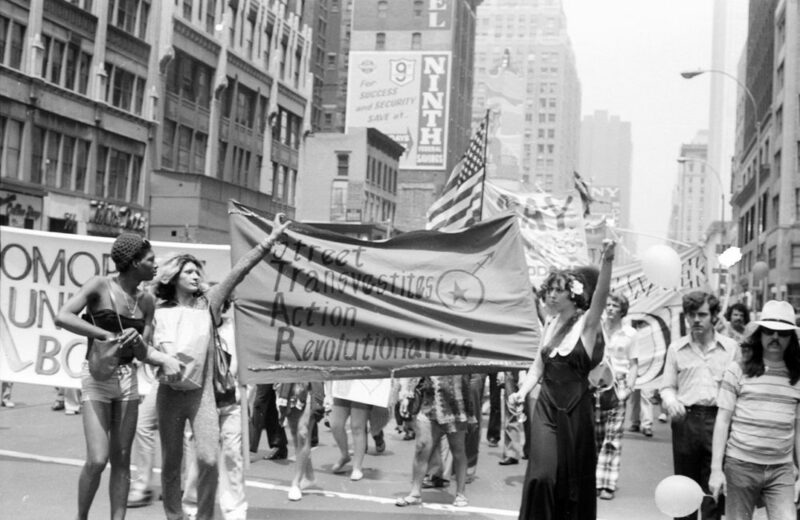 More recently, these activists from the ’70s have garnered renewed interest as today’s trans and gender nonconforming people — like Smillie — search for a lineage. Smillie’s banner is meant as an homage, but there’s a bittersweetness to it, too; the lace details, which mimic the shadows in the photo, make it look frozen in time, a relic. Smillie’s work tugs at these hidden strands of history, pulling them into the present. Her exhibition is called “Tuesday Smillie: To build another world,” and it probes the events of the past in a quest to imagine a more just future. 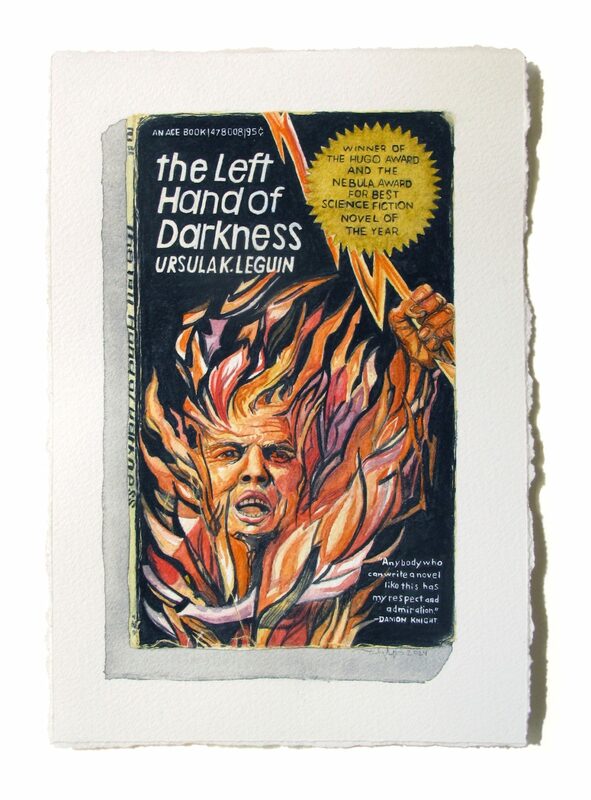 In addition to the banners, the show features watercolor and collage, and a whole series of paintings based on Ursula K. Le Guin’s “The Left Hand of Darkness,” the seminal science fiction novel that takes place on a planet inhabited by an androgynous humanoid species. Smillie is the recipient of the Rose Art Museum’s 2018-2019 Ruth Ann and Nathan Perlmutter Artist-in-Residence Award, which is given to emerging artists at pivotal moments in their careers. “To build another world” is Smillie’s first solo museum show — a milestone for the 36-year-old artist. But as she gains more attention, Smillie worries that her personal story could overshadow her work. To be an artist who is trans is to risk being reduced to that single fact. Smillie wants her art to be judged on its own merits, experienced on its own terms. On the opening night of Smillie’s show, the Rose Museum echoes with conversation. Coe Lapossy and Vick Quezada, two artists from western Massachusetts, admire a drapey gray banner sliced with a swath of orange. “[It] initially seem[s] simple, but everything is so nuanced, detailed and loved and cared for,” Lapossy says. But the significance of Smillie’s identity and the exhibition’s focus on transgender politics is not lost on them, either. The presence of Smillie’s exhibition at the Rose is indeed striking. Downstairs hang paintings from the museum’s impressive collection, work by revered artists from the past. They’re mostly white, cisgender men. But the first thing you see when you walk into the museum is the work of someone claiming a different heritage — one long absent from gallery walls.